The 2017 South African Open golf tournament on the European Tour is taking place this week from January 12-15, 2017, at the Glendower Golf Club located in the Johannesburg suburb of Edenvale, South Africa. Here is a list of the prize money up for grabs for the European Tour golfers this week at the 2017 BMW South African Open. The South African Open dates back to 1903, and it became a European Tour event in 1997. Gary Player holds the record for most wins with 13, while Ernie Els holds the record for most wins as a European Tour event with 3 (Els has 5 total wins here with two prior to 1997). The big news for the 2017 South African Open is that the #2 ranked player in the world Rory McIlroy is playing in the tournament. Rory McIlroy is not playing in the 2017 South African Open for the prize money but to return a favor he owes to Ernie Els who hosts the South African Open. 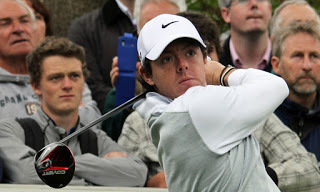 In 2014, Ernie Els played in the Irish Open which Rory McIlroy hosts. To date, no American has won the South African Open as a European Tour event. Scott Dunlap finished 2nd here in 1999. Americans Charlie Bolling (1983) and Fred Wadsworth (1989) won the tournament prior to its European Tour status. Charlie Bolling is playing this week along with fellow Americans Paul Peterson and Peter Uihlein. Total prize money up for grabs at the 2017 South African Open is $1.1 million. The winner of the 2017 BMW South African Open will earn $173,657. The winner of this tournament last year was Brandon Stone from South Africa. Second place is worth $126,000 at the 2017 South African Open. Christiaan Bezuidenhout from South Africa finished alone in 2nd place here the last year. Third place at the 2017 Sotuh African Open is worth $75,818. Daniel Brooks from England finished alone in the tournament last year. Fourth placed is worth $53,795 at the 2017 BMW South African Open. Fifth place is worth $45,250 at the 2017 South African Open. Retief Goosen, Branden Grace, Justine Walters and Keith Horne all from South Africa all tied for 5th place here last year.